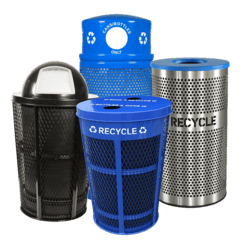 Due to an unfortunate policy change in China, many American recycling companies are struggling with ways to get rid of their recyclables. 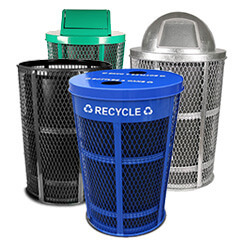 What used to be a profitable way to get rid of recyclable trash has now become a burden on many recyclable processors, causing shutdowns of plants, and businesses have to pay others just to get rid of their recyclables. 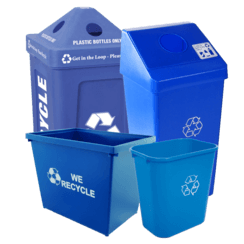 Since 1992, China has been taking in around 106 million metrics tons of all the recyclables in the world. 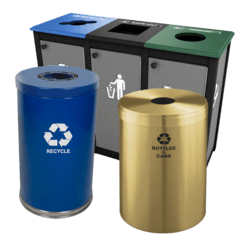 This roughly makes of 45% of the world's recyclable waste, and with that trash now having no place to go, it's up to countries to figure out how to best dispose of their recyclables. 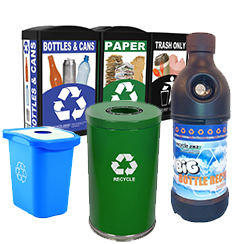 Developed countries like the US, Germany, and Japan used to export their recyclables rather than dealing with it themselves. 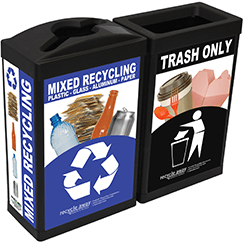 But in this problem lies an opportunity: For the US to engage in better recycling practices at work, school and home, that allow us to recycle our trash ourselves. 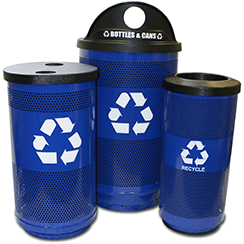 The problem stems from the standard that China now employs regarding what can be recycled. 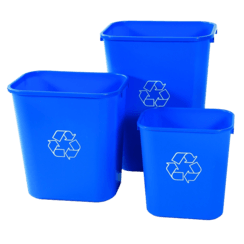 99.5% of the plastic, paper, and metal recycled in China now has to be sorted and free of food contaminants. 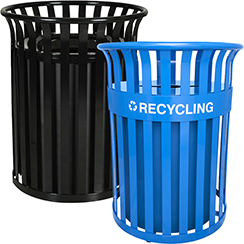 In the US, the highest standard that recycling plants can put out are recyclables that are 97% free from mis-sorting and food contaminants. 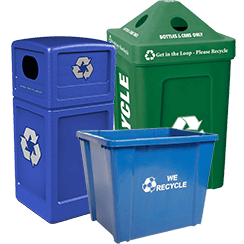 That means that what recycling plants in US can churn out aren't accepted by China right now. 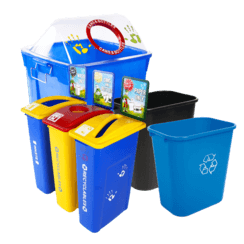 The good news is that recycling that has been cleaned and sorted before it goes to the recycling plant can help solve America's recycling problem. 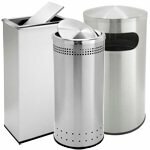 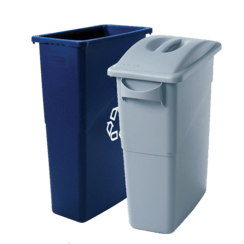 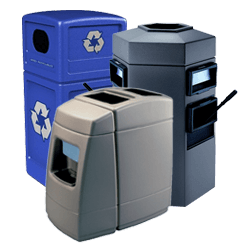 The reason getting recyclables cleaned and sorted to such a high degree can be problematic, is because many of the recycling plants in America are dealing with single-stream recycling, where people dispose of all their recycling in a single waste container. 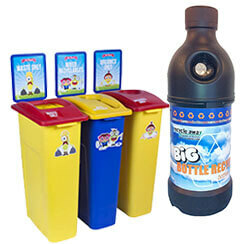 This puts the burden on getting recyclables sorted and cleaned on the recycling companies themselves. 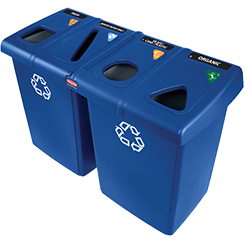 Thankfully, RecycleAway.com can help American businesses get a jump on recycling with a wide range of recycling bins that allows patrons and employees to sort their recycling before it ever gets to the plant. 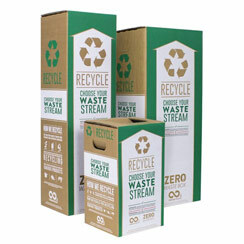 Businesses are conscious about having an eco-friendly image, which is seen as being good for business. 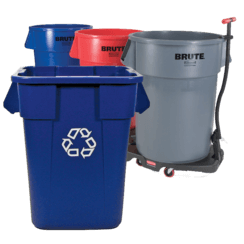 With the right recycling equipment in your vicinity, you'll be prepared to move beyond this difficult period. 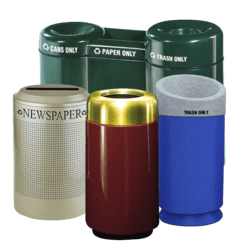 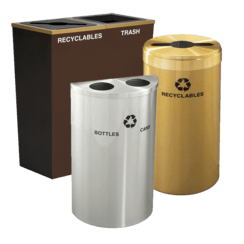 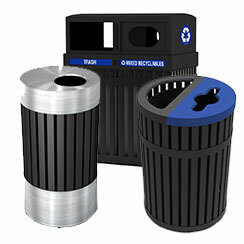 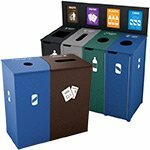 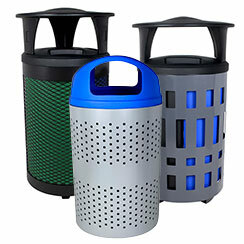 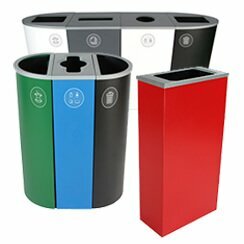 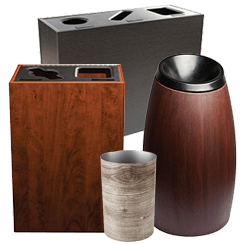 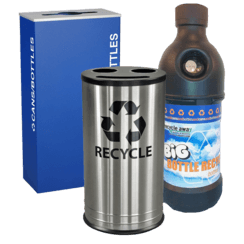 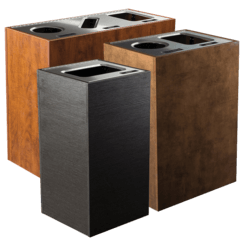 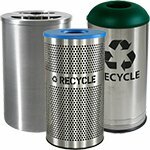 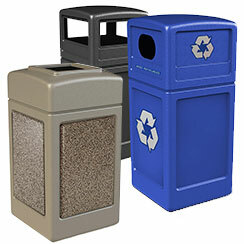 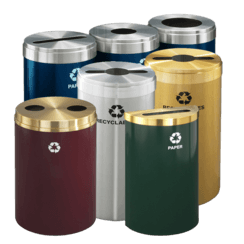 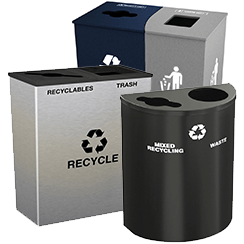 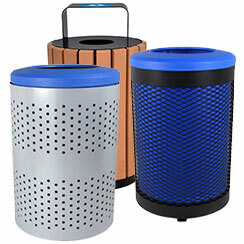 The Evolve Collection offers a wonderful assortment of recycling stations for in-office use. 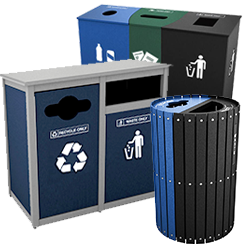 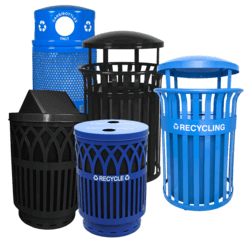 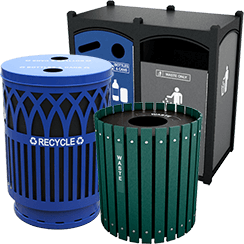 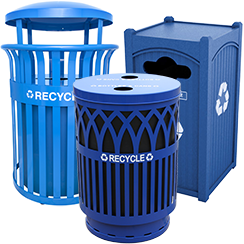 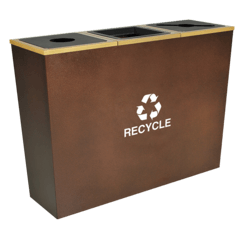 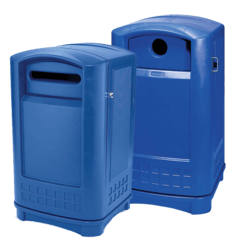 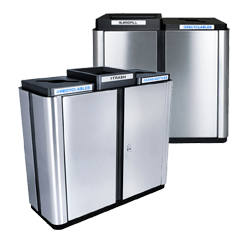 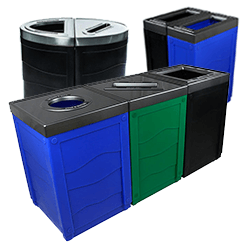 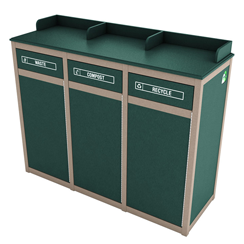 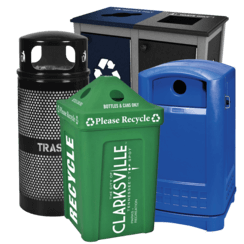 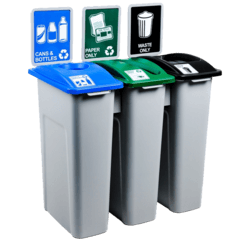 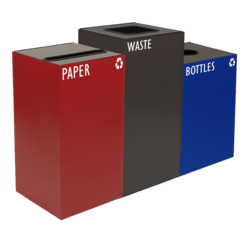 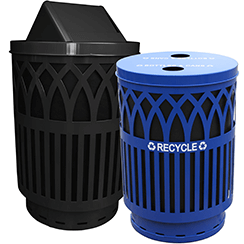 The Evolve Three-Stream Multicolor Cube Recycling Station has large-gallon capacity stations that have been designed so that they are virtually indestructible. 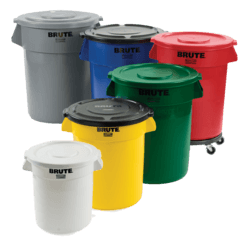 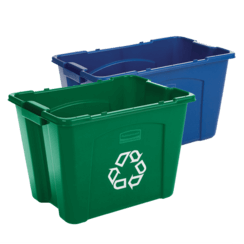 Their lids offer slot, round and square opening, to make the sorting of different kinds of recyclables easier and more intuitive. 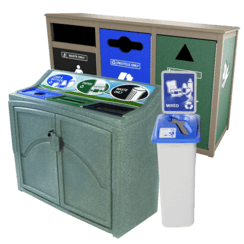 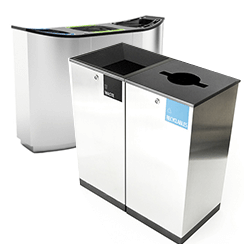 The Spectrum 4-stream slim recycling station lets users sort their recyclables into trash, compostables, paper, and recyclable plastics. 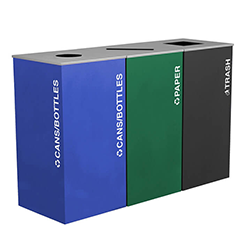 Aesthetically pleasing, this good-looking recycling bin is a great way to encourage people around and in your business to take up the mantle of recycling. 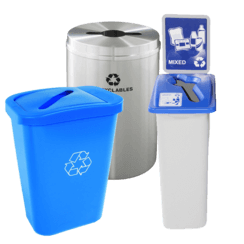 American recycling plants are now working to renegotiate their contracts with municipalities in order to make recycling more cost-effective in the current economy. 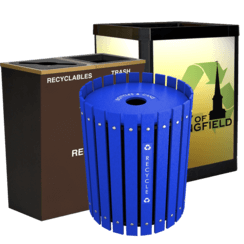 This gives businesses a chance to be a part of a bigger eco-movement that is more American-driven. 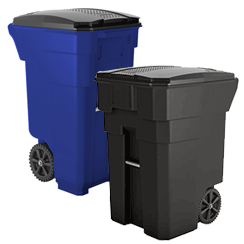 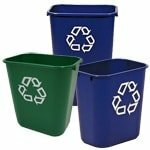 If you need a great-looking, easy-to-use way to get rid of the recyclables in your business, reach out to RecycleAway.com and get a jump on the best eco-friendly business practices today.